Have you ever wanted to master pro concealer tricks to achieve a flawless coverage? Well, here’s the thing about concealer – it’s the most indispensable product in your makeup routine. When you know how to apply it correctly, it can be a total game changer, but one wrong move can make your makeup look disastrous. 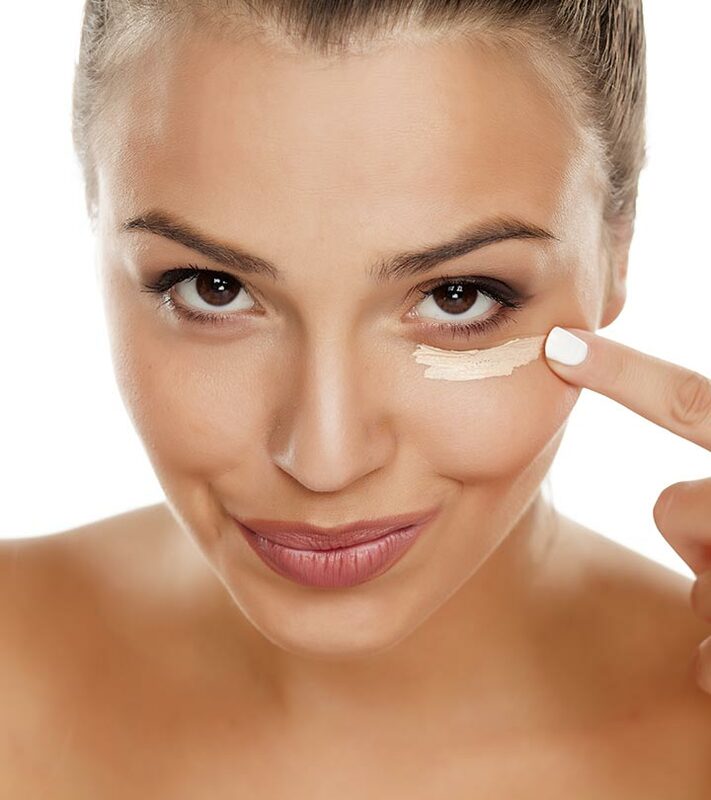 With color-correcting concealers in the picture, it can leave a lot of us bewildered. I have some major beauty hacks to share with you – from whether concealer should be applied before or after your foundation to choosing a formula that suits you, these are handy tips to help you step up your makeup game and clear all your confusion on all-things-concealer. Let’s begin with sheer basics. 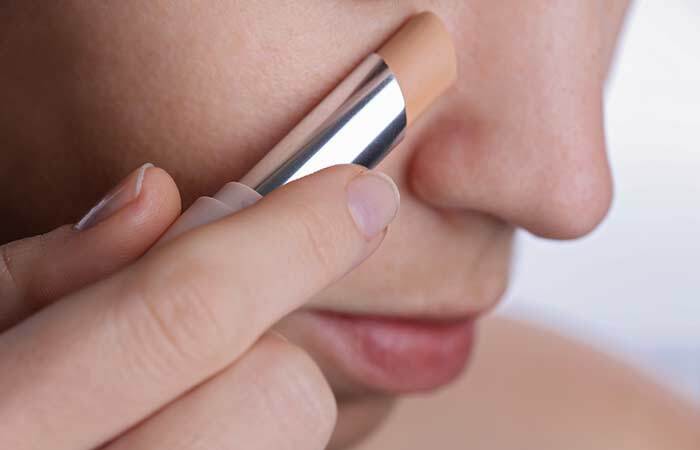 Choosing your concealer mainly depends on what works for your skin type and concerns. So, before you head out to buy a concealer, make sure you know what exactly you’re looking for. A liquid concealer is the most versatile of the lot. It’s perfect for normal, oily or combination skin type. It’s easy to apply, and its coverage is buildable, which ranges from light to full. Also, liquid concealers come in various finishes such as matte, dewy, and satin. This kind of concealer is also least likely to clog pores, so if you are someone with sensitive and acne-prone skin, I recommend you try one. Some of the best liquid concealers out there include the MAC Pro Longwear Concealer, LA Girl HD Pro Conceal, and the Urban Decay Naked Skin Weightless Complete Coverage Concealer. If you have dry or combination skin type, cream concealer will work well for you. Its coverage is buildable, ranging from medium to full. You can choose one with either a creamy finish or a satin finish. Their formula and consistency are great to conceal discolorations. Sometimes, cream concealers tend to crease when worn for long hours – you can prevent this by setting your concealer with some pressed powder. If you are looking for a cream concealer, make sure you take a look at these amazing options: NARS Radiant Creamy Concealer, Bobbi Brown New Concealer Kit, and MAC Studio Finish Concealer SPF 35. Stick concealers are a blessing for dry and sensitive skin. These set into either a satin or powdery matte finish, depending on the product you choose. I found that this kind of concealer has buildable coverage ranging from medium to full. The most popular stick concealers include Tarte’s Amazonian Clay Waterproof 12-Hour Concealer, Amazing Cosmetics Perfection Stick, and Hourglass Hidden Corrective Concealer. You can take full advantage of the color theory when it comes to concealers. On the color wheel, the colors across from each other on the spectrum are opposites. Hence they cancel each other out when used for color correction. Let me simplify it further with a little more explanation. If your concern is dark circles, lean towards “warmer” shades to avoid obvious white circles around your eyes. 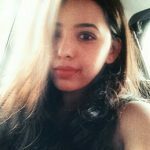 Blue-tinged and purplish dark circles are best concealed using an orange to yellow based concealer that is one shade lighter than your skin tone. It will help mask the discoloration and brighten the skin under your eyes. On the other hand, if you have brownish dark circles, then use a peach, salmon or an orange based concealer. 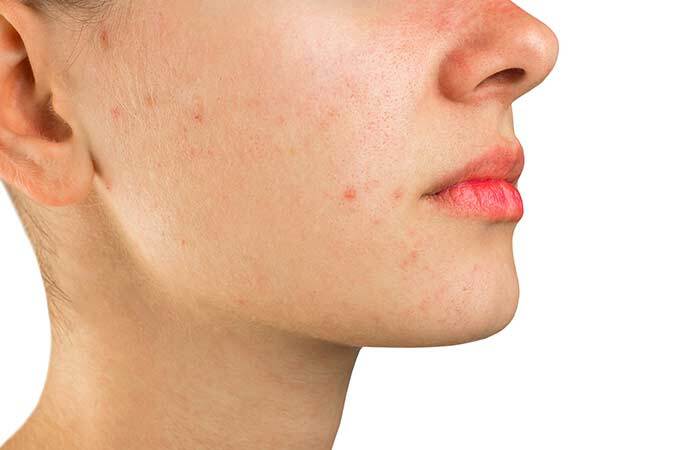 Green concealers are used to neutralize redness on your face – like blemishes and red spots. You can also use it to cover up acne, rashes, and angry red acne marks. Orange and peach based color correctors can be used along with your regular concealer to effectively cover dark spots caused by acne, aging or sun damage and even for freckles. 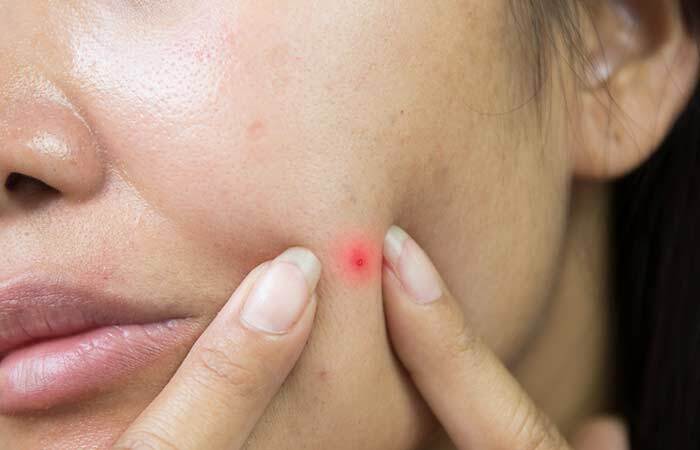 To conceal pimples, it’s essential that your concealer has a thickish, dry consistency – you could use a cream concealer, and these usually come in a pot or a tube. To cancel out the redness of the zit, use a green color-correcting concealer before going in with your foundation and cream concealer. If you’re curious to try out color-correcting palettes that work beautifully, you can take a look at the Bobbi Brown BBU palette, Stila Correct & Perfect All-In-One Color Correcting Palette, and the NYX Color Correcting Palette. Make Up For Ever also has these color correcting pots that you can buy in various shades to camouflage dark spots, redness, and other problems. How To Conceal The Right Way? Now the big question arises – concealer or foundation – what comes first? Well, the answer is simple. It’s always best to apply your foundation all over before going in with your concealer. But, if you are aiming to achieve utter perfection, there’s a step that comes before foundation, and that’s when color correcting concealers enter the picture. Once you’ve color corrected and have the product in place, gently press the foundation and then your concealer using a makeup sponge. Pressing will ensure that your color correcting concealer has stayed in place. It’s also important to keep in mind that less is more – so use small amounts of corrector only where you need it. You can set your makeup using a pressed powder for it to last longer. These simple tricks will go a long way in giving you a flawless base, and they will completely transform your beauty routine. There’s only one thing you need – concealer! Bad lighting is responsible for those days you thought your concealer matched your skin and it actually didn’t. The best place to apply concealer is near a sun-drenched window to let the natural light reveal how your concealer is performing. Rather than dotting and swiping concealer along your under eye area, draw a triangle with your concealer and blend it out with a small concealer brush or a makeup sponge. This will help in completely covering the area, and it instantly creates the illusion that your face is lifted. If you don’t want to invest in eyeshadow primers, dab some concealer on your eyelids to prevent the shadow from falling off your lid or settling into creases. A concealer will work just as brilliantly as an eyeshadow primer. 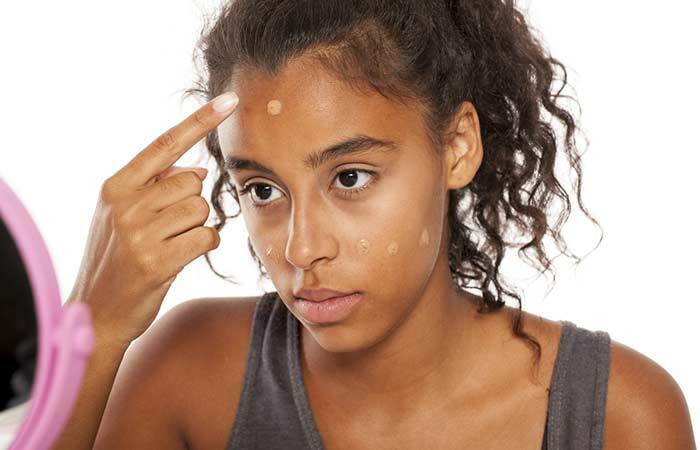 A pimple on your back or chest can be easily covered with a little concealer that exactly matches your skin tone. Top it up with some translucent powder to prevent it from wearing off. I love wearing lipstick, and I’ve learned that one can prevent the color from bleeding by lining the outside of your lips with a fine tip brush and some concealer. This will also help in enhancing the shape of your lips, making them look poutier than ever. With a concealer that’s two shades darker than your skin and one that’s two shades lighter than your skin, you can contour and highlight your face to amp your makeup game even further. A pencil concealer will have more control of the placement – use the darker one to shade areas that are naturally shaded and the lighter concealer to highlight areas that naturally catch the light. Noticed your concealer getting cakey in the lines around your eyes? Take a tissue, split it into two layers and lightly blot the excess makeup. You’ll be surprised to see how well this one simple step works! A concealer that is one shade lighter than your skin tone can be used to highlight your eyebrows. This will give you an instant brow lift and will accentuate your eyes more! We all make mistakes while getting the perfect winged eyeliner. In times of such crisis, dip an angled brush in concealer and carefully use it to cover any mistakes. It’s easier and way quicker than starting over! Now that you know what a wonderful and multi-purpose makeup tool a concealer truly is, it’s time you try some of these tricks. You may not get it quite right in your first attempt, but remember – patience and practice are key! Do you have a favorite concealer brand or your very own hack? If so, do share with me in the comments section below. Top 12 Glitter Eyeshadows (With Reviews) To Look Like A Star In 2018!